Emma, the High Priestess of Lothric Castle, is considered to be "one of Three Pillars of the king’s rule", and she served as the prince’s wet nurse [Priestess Ring], presumably after his mother’s disappearance. Rings engraved with her image are manufactured by the Church [Priestess Ring, or rather its existence]. She also has knowledge of rites and covenants of countries long gone, like the Way of Blue. She instructs the player to proceed to the High Wall's base. 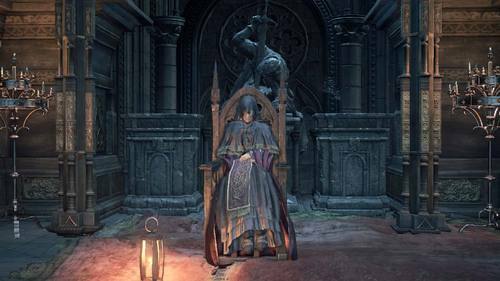 In Lothric, the High Priestess has long been considered one of the Three Pillars of the king's rule. The High Priestess also served as the prince's wet nurse.